We are looking for a creative educator who can develop and deliver fun, interactive and hands-on programming about the boreal forest, birds and forestry for audiences of all ages. This one-year posi tion is responsible for assisting in the delivery of well-established education programs, through the Lesser Slave Forest Education Society and the Lesser Slave Lake Bird Observatory which includes curriculum-based school fieldtrips and classroom presentations for students from Kindergarten to Post Secondary. 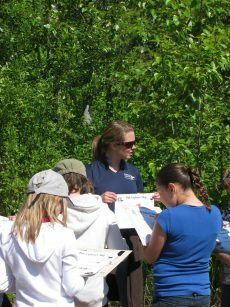 This educator will also provide support for the Boreal Centre for Bird Conservation education and community outreach programs designed for a wide variety of visitors including families, students, seniors and tourists. If you love the forest and people…this is the job for you.